A man and women arrested after a makeshift meth-lab at an apartment at the Calhoun Crossing Apartment Complex, Georgia. The authorities evacuated the complex at Calhoun Avenue after the arrest for clean-up operation. An Atlanta-Based Drug enforcement administration responded to the incident and came to clean the lab with the co-operation of Calhoun police. The police are asking the residents to avoid the area until the authorities clean up all the hazardous gaseous and materials. The Times reported at 6 pm, it would take an hour to clean up the apartment, so resident can go back to their apartments and homes. No further details about the suspects and the charges they faced has been released so for. The crime rates in Georgia are increasing and that makes your neighborhood untrustworthy. You don’t know what’s going around in your neighborhood. In the unfaithful-Era one must take precautions to save his family. Get yourself a home monitoring system in Georgia to stay safe and secure. 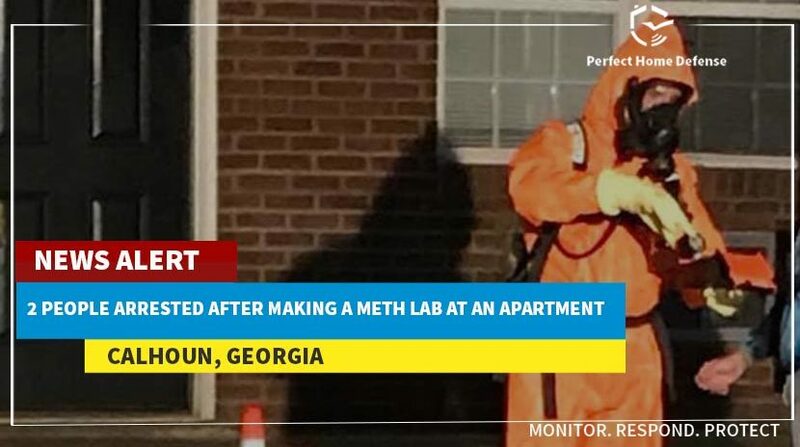 The meth-lab incident occurred in an apartment with hundreds of residents in the neighborhood is quite precarious. The dangerous gases released from the labs that you don’t know about can badly hurt your children and family. I you care, take a step to save them from the silent killer gases and install a Carbon monoxide sensor at your home. The CO detector detects hazardous gas and alerts you about it. Nights and dark places are the favorites of criminals. You need to mount a smart LED bulb to lighten up the house to give the burglars and violent criminals a nightmare. You can control the intensity of light from your smart phone to give the violators a tough time and keep yourself safe in the unfaithful neighborhood. Are Your Windows Strong Enough Or Are They A Weak Security Point?